Each year, thousands of people across the United States sustain injuries in truck accidents. According to the National Highway Traffic Safety Administration, over 433,000 truck accidents resulted in 116,000 injuries and 4,067 deaths during 2015 alone. Without a doubt, trucks are vulnerable to motor vehicle accidents just as other vehicles on the roadways. Unfortunately, when 18-wheelers are involved in accidents, victims often sustain severe and catastrophic injuries sometimes resulting in death. Commercial trucks traveling along the roadway can weigh over 80,000 pounds, which can have an enormous impact on other vehicles, should they be involved in accidents. If you or a member of your family was injured or lost their lives as a result of a truck accident caused by a negligent driver, contact the law firm of Brady, Brady & Reilly, LLC as soon as possible to speak with one of our highly skilled personal injury attorneys about your injury accident. Our firm of experienced attorneys has been in practice since 1965 and have built a stellar reputation in the legal community for getting high-value settlements for our clients who were seriously injured in an accident involving a careless, reckless or negligent truck driver. We are dedicated to helping accident victims protect their legal rights to fair compensation. Truck accidents can happen for a variety of reasons. Although there are strict federal laws and regulations in place to prevent truck drivers from being behind the wheel for extended periods, a lot of drivers ignore these laws and continue to drive to their destinations. Driving prolonged periods increases the chances of truck drivers suffering from driver fatigue, which can result in a devastating accident. Another leading cause of large commercial truck accidents in New Jersey is improperly loaded vehicles. When items are not properly secured on a truck’s trailers or the trailers are overloaded, chances are increased of items falling off and hitting vehicles along the roadway. Improperly loaded trailers can be extremely dangerous because, quite often, truck drivers are oblivious to accidents they cause. Truck drivers often continue down the road without realizing anything fell off their trailer. Having to stop frequently for traffic signs, crosswalks, or traffic control devices. If you or a loved one have sustained injuries in a truck accident that was no fault of your own, it is imperative to contact a skilled truck accident attorney who has a complete understanding of all New Jersey laws and the case results to back up that claim. Call today to discuss your injury accident with a legal professional who will provide you with the best legal advice available in New Jersey about your personal injury claim. You may be able to obtain financial compensation for your injuries and other damages. We can help you. Let us answer all of your questions. Lost Wages: Those involved in truck accidents often sustain serious and life-altering injuries. Due to the extent of such injuries, victims are often forced out of work. If you are unable to return to work, either temporarily or indefinitely, you are able to earn reimbursement for your lost wages. A knowledgeable attorney will be able to hire an expert financial witness to calculate the expected earnings over the lifetime of a victim in order to obtain the maximum amount possible for lost wages. These amounts often take into consideration the number of years a victim would be expected to work, their chances of promotions, inflation, and various other factors. Medical Expenses: Truck accident victims are often required to go through extensive or repeated surgeries. They often have to go to rehabilitation and therapy, utilize medical devices, medications, and other equipment either short-term or for the rest of their lives. Victims are able to be covered for all past treatments, current medical treatments, and any anticipated medical expenses, related to the injuries or illnesses sustained in the accident, throughout the remainder of their life. Pain and Suffering: Victims are able to obtain compensation for pain and suffering they experience from their injuries. These awards are often calculated based on the severity of a person’s injuries, as well as the impact their injuries have on their daily life. It is crucial to work with an attorney who is able to adequately articulate to the courts how extensively your injuries impact your ability to function daily. Mental Anguish: In addition to suffering physically, accident victims often endure immense emotional and mental turmoil in the aftermath of a serious truck accident. Victims often deal with anxiety, depression, and are left feeling hopeless. Some victims suffer extraordinary cases of posttraumatic stress disorder from their accidents, which has a crippling impact on their ability to negotiate activities of normal life or travel by motor vehicles. Individuals who suffer psychological side effects of truck accidents are able to receive compensation for their traumatic experiences. Loss of Consortium: Accident victims can be compensated for the loss of consortium caused by their truck accident. These damages are awarded to victims who suffer relationship problems as a result of their accidents. Victims who are left unable to engage in activities with their spouse with the same joy they had before their accident are able to earn recompense for their suffering. These are a common award in cases where victims suffer paraplegia or quadriplegia from their accidents or severe nerve and muscle damage. Property Damage: Truck accident victims often receive reimbursement for their vehicles and other personal belongings damaged in the accident. Quite often, vehicles involved in truck accidents sustain heavy damage and are rendered totaled by insurance companies. It is imperative for victims to obtain compensation to purchase a replacement for their vehicle. Working with a reputable attorney will improve your chances of collecting the maximum financial compensation for their property that was damaged or destroyed in the truck accident. Punitive Damages: Punitive damages are available for accident victims in some cases. These awards are not compensatory in nature, so they are not provided to a victim to cover a financial loss. Instead, victims are awarded punitive damages by courts as a way of punishing truck drivers for their gross negligence or reckless actions. Truck accidents can have a major impact on the lives of victims. Considering the size and weight of commercial trucks, accidents in which they are involved can result in catastrophic injuries or death. Injuries resulting from truck accidents can drastically impact and forever alter a person’s way of life. Victims may lose limbs, suffer from permanent pain, or even be confined to using a wheelchair. Working with an experienced and reputable truck accident attorney in New Jersey will ensure you win the highest value settlement possible for your injuries and damages. Truck accidents are unique in several ways. For one, trucks involved are often covered by extremely large insurance policies. This extends the right to victims to obtain the maximum amount of financial compensation for their injuries and losses. Where a lot of car accidents are limited to only $50,000 in insurance coverage, truck drivers are often required to maintain insurance policies that can be well over $1,000,000 in coverage. Additionally, the enormous size of trucks, especially in comparison to most other vehicles on the road, makes them more likely to cause serious injuries or death to those involved in accidents. 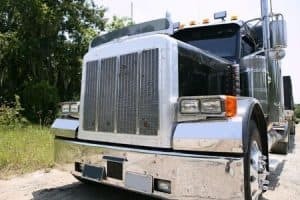 Given that the majority of trucks on the road are driving for commercial purposes, there are several parties that can be liable for truck accidents that result in injuries. Each party to the accident can be required to compensate the victim for injuries and damages they sustained. The Truck Driver: The driver of the truck is generally always considered a liable party to an accident. This is typically a rule because these individuals are entrusted with controlling the vehicle. When they act negligently behind the wheel, it can have extreme consequences. When drivers are fatigued behind the wheel, intoxicated, or disregard traffic control devices, they are held responsible for injuries. Sudden lane changes, speeding, or engaging in reckless behaviors are just some actions that can result in truck accidents. The Truck Driver’s Employer: The employer is often the person or company for which the driver operates their vehicle. Employers can be culpable parties to truck accidents if they allow their drivers to pass legal hour limits imposed by the federal government. Other instances that earn employer’s liability in accidents include neglecting to maintain the vehicles properly and failing to conduct routine inspections to ensure the safety of the vehicles. There are various other circumstances which are considered in determining whether an employer is accountable for a truck accident. Working with a truck accident attorney will ensure you win the highest amount of compensation possible for your case. The Truck Loading Company: Trucks often carry heavy loads from various locations throughout the country. At each stop a truck makes, another company is charged with loading and unloading the trailer. Sometimes loading companies will exceed the maximum allowance for items. They pack on as much as possible, which can lead to extremely dangerous circumstances. Quite often, overloaded trailers are unable to be properly secured, which can result in items falling off the truck as it travels down the roadways. This can cause harm to others who travel behind the trucks. In these instances, loading companies are at-fault for injuries. Truck Or Parts Manufacturer: There are cases when truck accidents occur due to faulty or defective parts. In these circumstances, the manufacturer can be held liable for any injuries resulting from the accident. There are even instances where defective parts increase the severity of injuries sustained. For instance, there have been reports where faulty airbags failed to deploy and, as a result, victims sustained severe head trauma during the incident. Sadly, we see numerous individuals endure injuries due to defective parts in vehicles. In some cases, retailers can be held responsible for defective parts in addition to manufacturers. Retailers are expected to offer parts that are safe and reliable to consumers. Their failure to do so can make them accountable for injuries. It is imperative for accident victims to contact a truck accident attorney as soon as possible. Without a thorough understanding of the laws and regulations surrounding truck accidents in New Jersey, victims may not obtain a fair and reasonable settlement for their injuries. 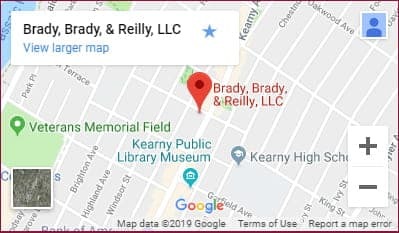 Attorneys at Brady, Brady & Reilly have been helping victims collect damages for their injuries since 1965, which means we are knowledgeable and experienced in helping truck accident victims protect their legal rights in New Jersey courts. Trying to navigate the complicated legal system on your own may be overwhelming. This is especially true for accident victims who try to shuffle their recovery with their legal processes. Victims in New Jersey only have two years to file a truck accident claim, which makes it imperative to hire a personal injury attorney who is willing to get started on your case immediately. At Brady, Brady & Reilly, LLC, we work diligently to help truck accident victims obtain compensation and justice for their injuries. We help victims gather witness statements, collect evidence, negotiate with insurance companies, and present all necessary legal documents to prove the other driver is at fault and liable for your injuries and damages. Furthermore, we are able to hire expert witnesses to reconstruct the accident in order to prove exactly what caused the accident and what parties are liable. Building a solid case on your behalf is imperative. Our attorneys at Brady, Brady & Reilly, LLC work diligently to ensure every critical detail is uncovered and presented. Our ability to develop solid legal claims ensures we are better equipped to negotiate full and fair restitution for your injuries. You can hire Brady, Brady & Reilly to protect your legal rights in court while you focus on your recovery. If you were injured in a truck accident, it is imperative to contact the law firm of Brady, Brady & Reilly, LLC at (201) 997-0030 as soon as possible to schedule a free case evaluation. We will review the unique circumstances of your case to determine what legal options are available for you.